On average, nearly 60 percent of restaurants fail within a year when managers don’t develop practical financial strategies. In order to avoid risky financial situations, you’ll need to consider the best times to pursue a loan. Although a loan can affect a business financially over time, there are a few situations when strategic financing can help a restaurant business succeed. Because many things can happen while running a restaurant business, you’ll need extra cash for repair problems that may occur without notice. For example, if your business has drivers who transport meals to consumers in various neighborhoods, you might need cash for automotive repairs when your company cars begin to operate inefficiently on the road. A loan for extra cash can also provide benefits during normal business situations in a traditional restaurant, as the money could cover major appliance repairs. Appliances are very important in the restaurant industry since a chef needs a cold fridge in order to serve fresh food to consumers. In order to maintain an efficient restaurant business, you may want to pursue working capital. 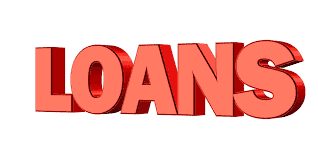 When applying for this kind of loan, always consider the terms since some banks have options that give business owners opportunities to acquire funds quicker. Strategic restaurant owners in very busy districts always study the market so that they can implement proper procedures to gain an edge over the competition. In the restaurant world, speed and efficiency is important because every customer who orders a meal will want the dish without any major delays. This is why many restaurant owners are constantly investing in new solutions that benefit guests. By pursuing a loan, you can stay competitive when your competition upgrades tools for their consumers. For example, if you place POS units in your restaurant, you’ll have opportunities to serve your customers faster. Besides business loans, there are other loans that can help a restaurant. If you need help understanding policies for a business loan or a pass loan , legal services are worth considering.